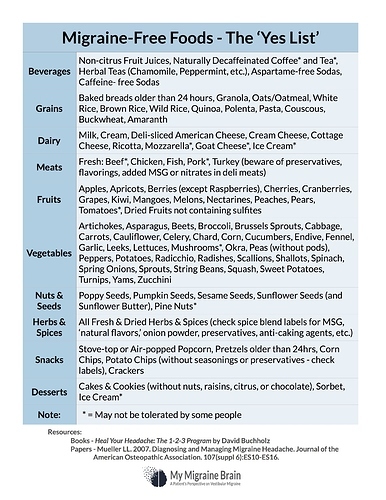 Sufferers often find adhering to a special diet can really help reduce symptoms. 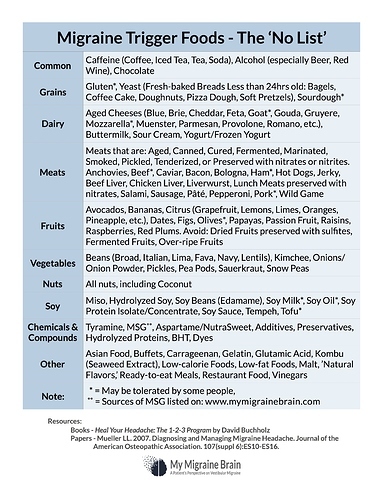 One of the most popular is the “MAV diet” aka the 6C’s diet. Sufferers sometimes find other dietary triggers and often explore the diet promoted to ‘regular’ migraine sufferers. We have a few Migraine Diet Books listed here on the Member Recommended Products page. Please feel free to recommend more! Also consider visiting our friend, the https://thedizzycook.com/ for some free migraine-safe recipes! Doctors may tell you that SEH sufferers can benefit from the MAV diet too and you may experience the same dietary triggers. Why this is the case has not yet been established. 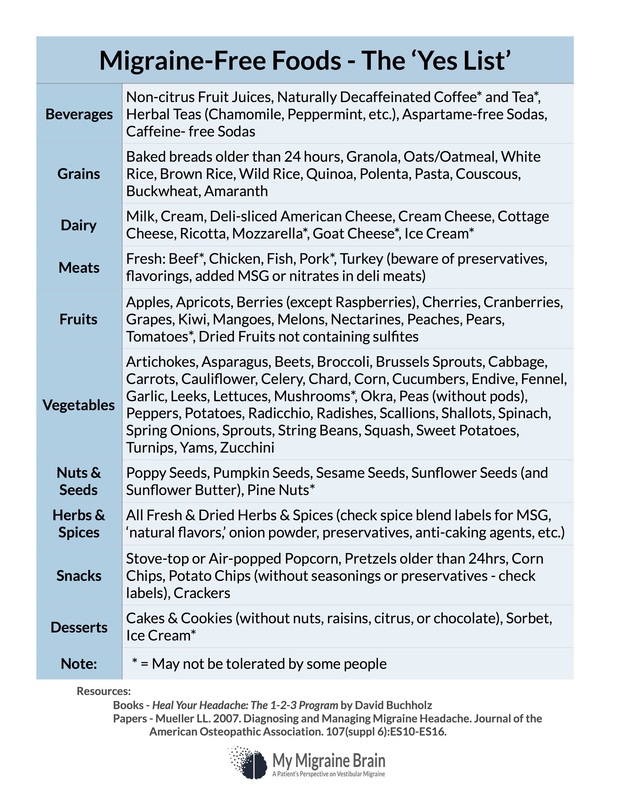 Some say that salt restriction is also helpful for sufferers of an inner ear condition such as SEH, but this has not been scientifically established and you may or may not find this helpful. Unsteady, Weakness, Numbness - My story! 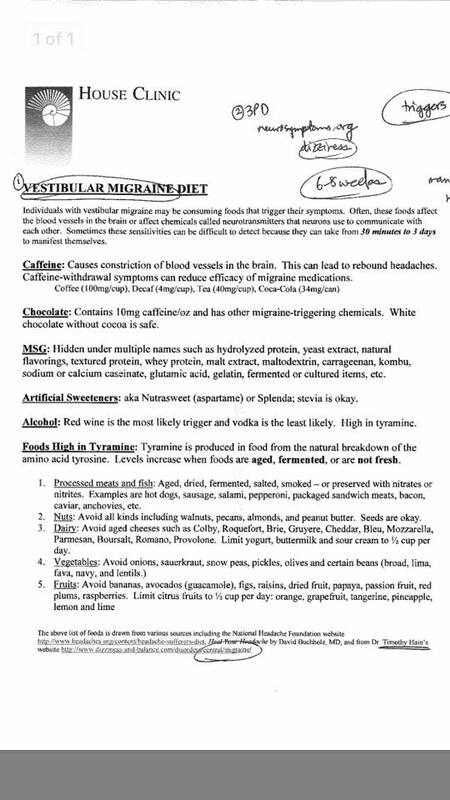 Here are some articles I have collected related to migraine elimination diets.